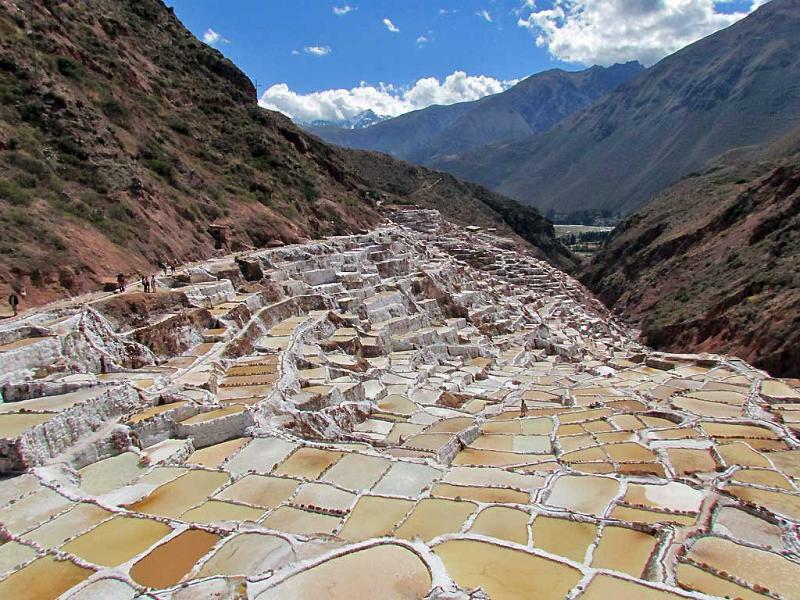 After our Sacsayhuman Visit, we had one full day remaining in Cusco prior to our flight out through Lima. We arranged a local tour with our hotel. The fee was paid to the hotel and a small tour bus picked us up the next morning. The guide narrated the tour in both English and Spanish, so I got a full day Spanish lesson as well. 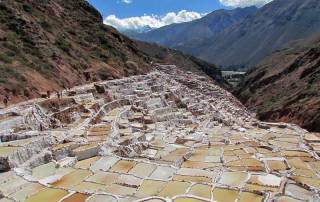 The two highlights of Maras Moray Day Trip are the Maras Salt Mines and the Moray Inca Ruin. Our first stop on the tour was in the small town of Chinchero. We had previously done a full day Chinchero Community Visit at this town. 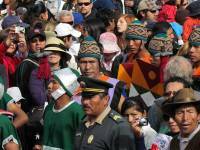 On today’s tour, we stopped at a shop for a Chinchero weaving demonstration and souvenir shopping. The weavers all wore the same distinctive blue highlights in their clothing. 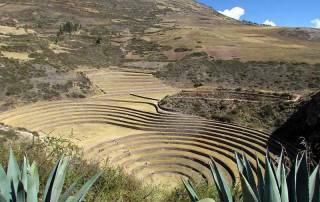 In our previous visit the other Chinchero community all had red highlights. 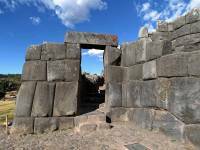 Next we crossed the high plains west of Cusco to the Moray Inca Ruin. The roads were now gravel. 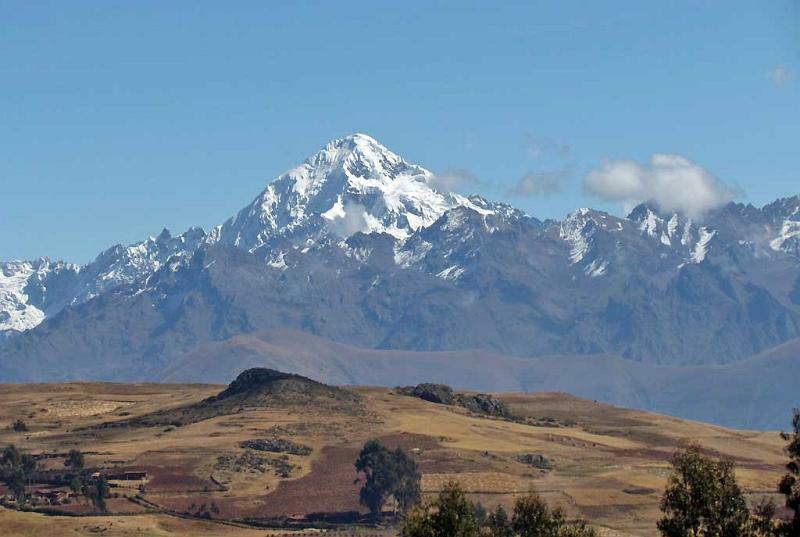 Snow on the peaks of the Andes along the way provided a beautiful back drop. 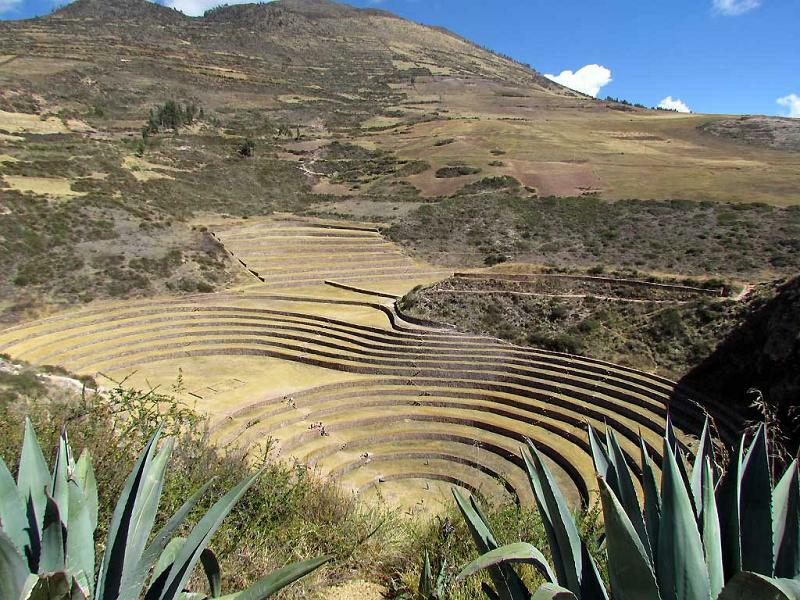 The ruins are different than any other in Peru, because the construction goes down in a bowl shape of terraces. 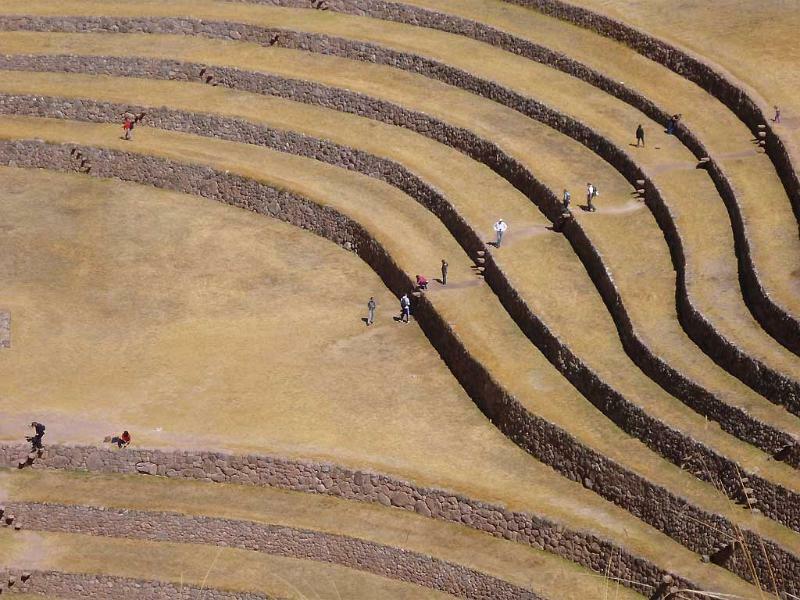 There is great debate as to their purpose, but most believe it was agricultural terracing. 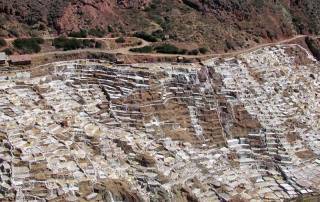 We were able to walk all the way down into the bowl and on to the terraces. 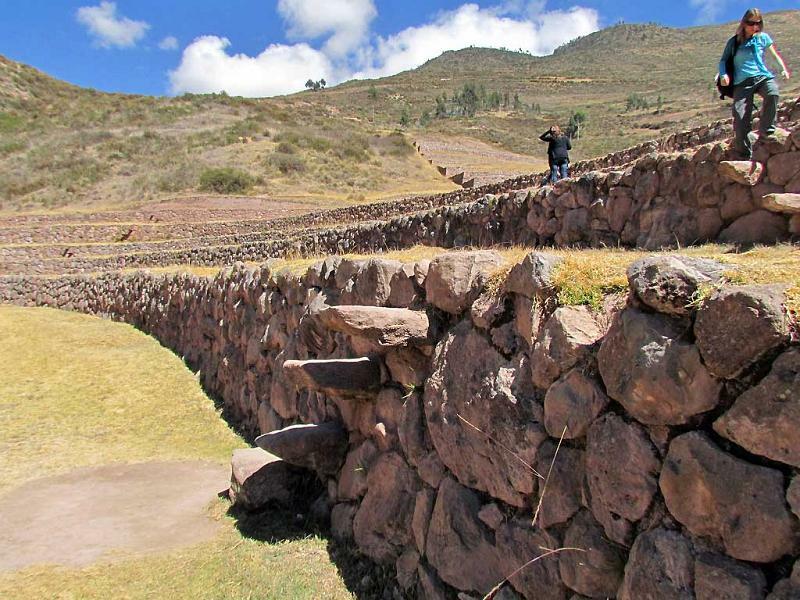 Large stone steps jutted from each stone terrace wall, so that you could descend to the next terrace. 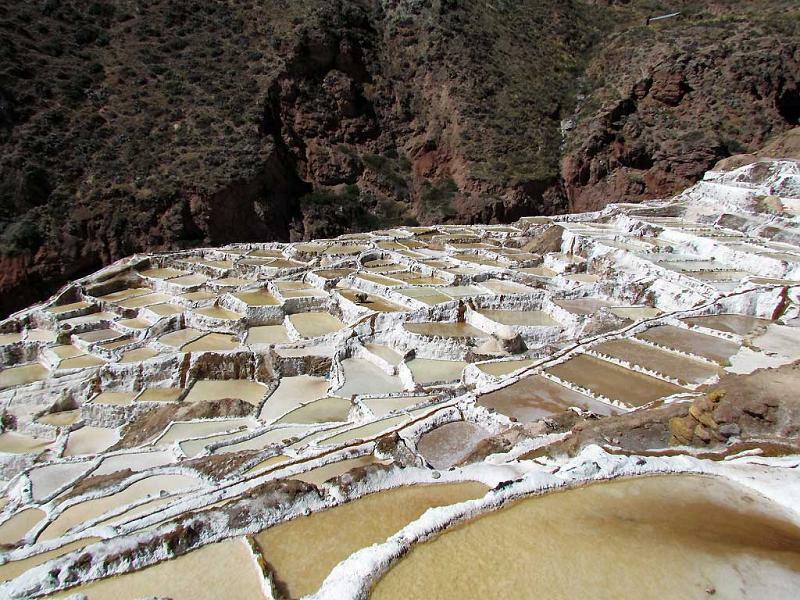 Our guide pointed out that regardless of how much rain ever fell, water never stays at the bottom. 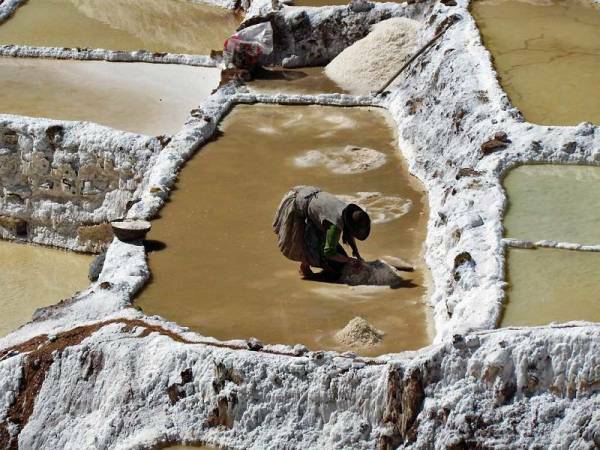 It drains out naturally underground. 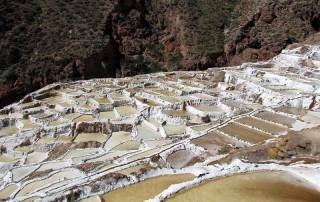 From Moray we crossed the plains through the town of Maras to the edge of the plateau. 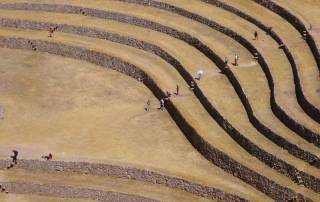 You could see the Sacred Valley of the Urubamba River below. 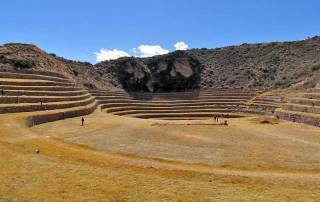 The Maras Moray Day Trip got very exciting at this point. 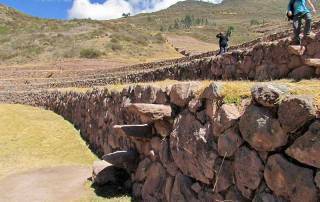 Our small bus drove off the plateau and began descending the steep cliff edge. 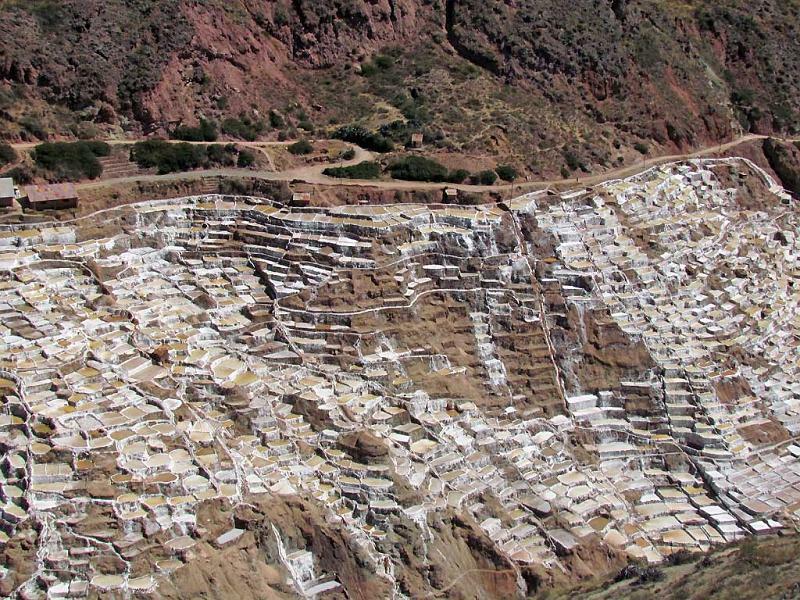 The Maras Salt Mines appeared directly below us. 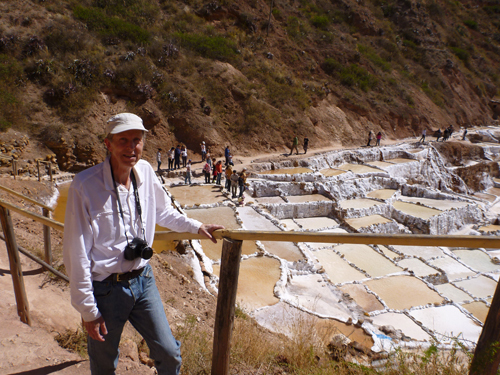 After a short, scary drive, we arrived at the Maras Salt Mines. A small admission was charged to the site. 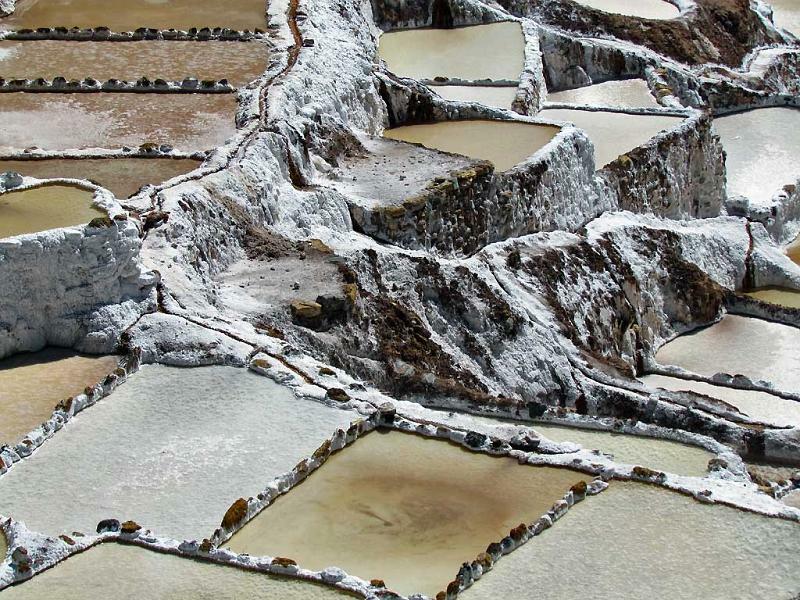 We learned that the Maras Salt Mines are a cooperative managed by the people from the town of Maras. 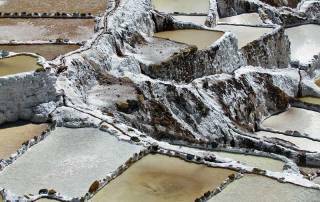 The salt mines are really salt terraces. Individuals manage small plots by spreading water over the area and raking the surface until evaporation leaves only the salt behind. Then the salt is bagged for sale. They make pennies on a bag after days of effort. 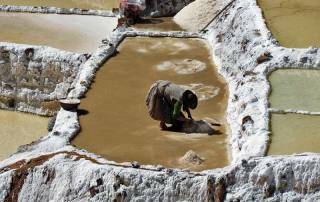 The site was amazing, but the poverty of the workers was disheartening. 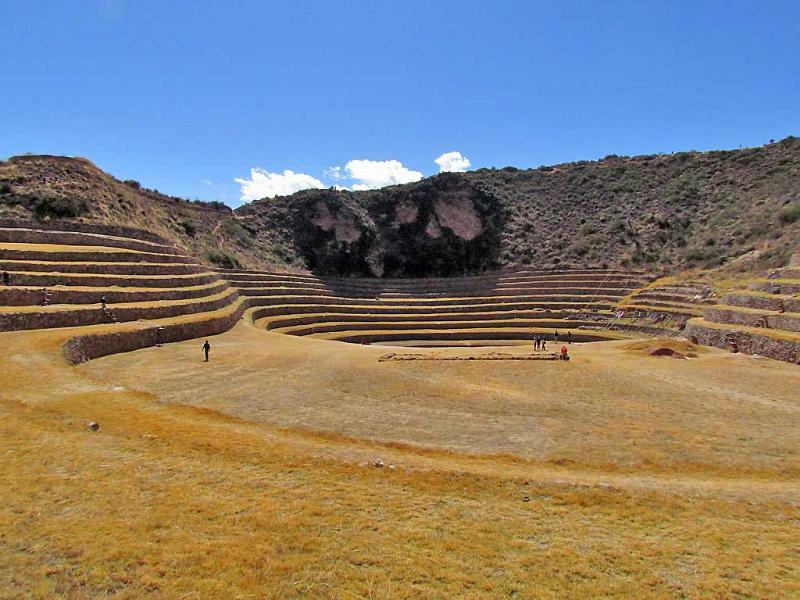 Our Maras Moray Day Trip with a local Cusco tour company was an excellent way to see a side of Peru that is very different from the rest of the country.